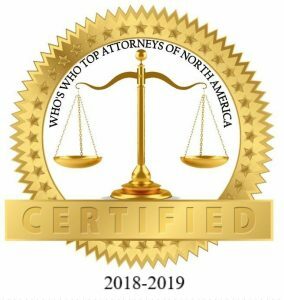 Our attorneys assist clients with the most difficult questions, the ones that both the state of Missouri and your family are perhaps the most ill-equipped to handle. Unfortunately, these questions are often raised when people are at their most vulnerable – when they are no longer competent to make decisions for themselves. At the Piatchek Law Firm, our attorney Joseph J. Piatchek can assist your family with these sensitive topics. We can draft durable powers of attorney for those who want to avoid forcing loved ones (or the courts) to make difficult financial choices and life-or-death health care decisions without any guidance. We also use powers of attorney as simple, cost-effective alternatives to formal guardianships and conservatorships. 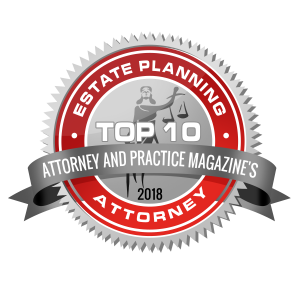 Powers of attorney are essential estate planning tools that no one should be without. In addition, we can create living wills and advance health care directives to solidify and memorialize our clients’ wishes regarding the types of health care treatments they want (and do not want) in certain end-of-life situations. A power of attorney gives someone else the power to do something for you – and that something can be just about anything. There are many different types of power of attorney, both in subject matter and in how the documents themselves operate. A durable power of attorney means that the power of attorney is still good and valid even if you lose capacity. You sign it now, while you have capacity, and it is good for the rest of your life, even if you lose capacity. Most people want their power of attorney document to be “durable,” which typically requires special language according to Missouri law. Powers of attorney can “kick in” at different times. Whether it goes into effect now or later, you make the decision to create and sign the power of attorney now. An immediate power of attorney gives another person power to take action, as specified in the document, right now, as soon as you sign. A springing power of attorney gives your appointee power if, and only if, some future event takes place. A typical scenario would be in the event of your later incapacity or incompetence, as determined by two physicians. Typically we separate these two documents: one power of attorney for health care decisions and one for financial decisions. We do this because we often find that our clients want one set of people controlling their finances and a different set of folks controlling their health care decisions. Or, they may want to use the same people in a different order in each of the documents. There are many other types of power of attorney that can be used in different situations. For example, you might use a power of attorney to care for a child or operate a business. Or, you might prefer a limited power of attorney, with which you only give the person very specific power to do very specific things. What Is the Difference Between a Power of Attorney and an Advance Health Care Directive? Powers of attorney relate more to the question of who (who can make my health care and/or financial decisions for me if I cannot make the decisions myself) and which (which types of decisions can be made). Advance health care directives, on the other hand, refer more to the what (what decisions would you actually want made in end-of-life decisions). In addition, the bar is higher for powers of attorney (which often kick in if you were to be incapacitated), as an advance health care directive will only apply in end-of-life decision making. More precisely, an advance health care directive will often ask something along these lines: If you were at the end of your life, and you could get treatments that might make you live longer, but the treatments would NOT actually cure you, would you want those treatments? Who will make crucial decisions about your health care and medical treatments if you are seriously injured in an auto accident? Who will manage your finances if an illness like Alzheimer’s or age-related dementia leaves you legally incompetent? Because anything can happen on any given day, it is important to have a plan in place that addresses the legal contingencies of incapacity and incompetence. We can help you create a plan that’s right for you, one that clearly expresses what your values and priorities are. Comprehensive estate planning will dictate what you want to have happen under any number of different circumstances, so that the person or persons to whom you’ve given that power will know what to do if the time comes. Make your wishes known and find peace of mind in the process as well. Talk to attorney Joseph J. Piatchek about your legal needs today by simply calling our offices at 417-882-5858. 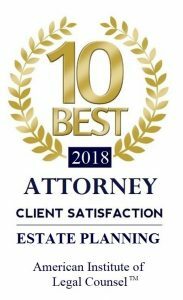 We offer free initial consultations to estate planning clients, and we are available for evening and weekend appointments. We can also arrange a home visit if you are unable to travel to our offices.